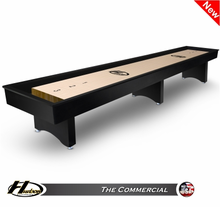 Built specifically for commercial use, these shuffleboards are made-to-order using the finest craftsmanship found only on a Hudson Shuffleboard. 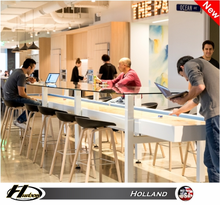 Our commercial tables can be finished in multiple stain options or even be upgraded with our new glow-in-the-dark playing surface. 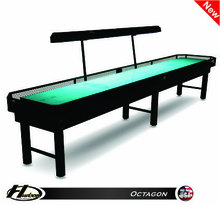 The playing surface and cradle can be customized with your logo. 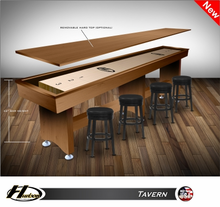 Click here to see benefits and frequently asked questions for shuffleboard use in a bar or business setting. Please email us or call with any questions. 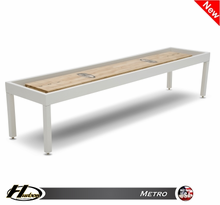 We are here to make your purchase as comfortable as possible.